From buildings to employees, the City of North Charleston is going pink this week to raise breast cancer awareness; October 22-29, 2012. Throughout the week, city facilities will be decorated pink, city employees will wear pink attire, and the City’s pink Fire Truck can be seen around town. 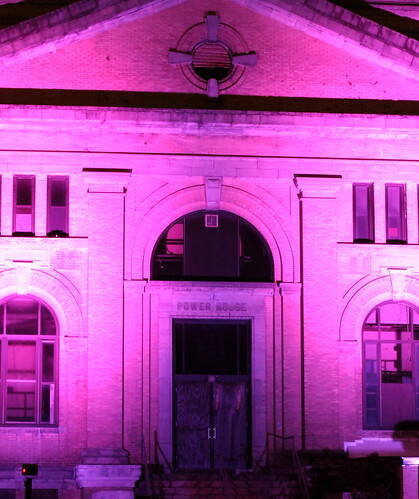 Even City Hall has gone pink. 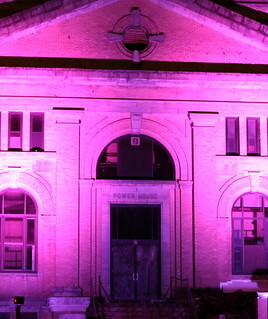 At night, the exterior of City Hall is lit in bright pink, along with our fire stations, the Power House on the former Navy Base, and the Greater Charleston Naval Base Memorial at Riverfront Park.